Rafflecopter released a new widget over the past week that lets you log in through either your Facebook account or your name/email address combo. The previous Rafflecopter widget tracked users based on cookies. Moving away from cookies is a win for both the blogger and entrants alike. Here’s a blog post with an explanation why. 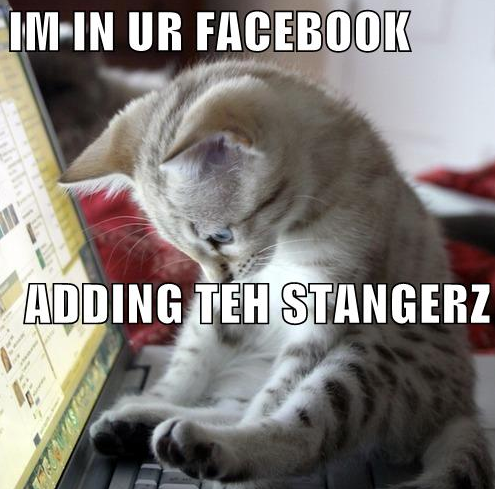 1) When I login w/ Facebook for the first time, what happens? Let’s say you want to enter a Rafflecopter giveaway for the very first time and you want to sign in with Facebook. Like any other app using FB Connect, when you click ‘Log in w/ Facebook’, you’ll be asked permission from Rafflecopter for some info. In connecting w/ Rafflecopter through FB Connect, Rafflecopter wants two pieces of info: your name and your email address. Why? So if you win something, the blogger can get in touch with you! In order to get your name, we have to have access to your basic information (in other words, information that you’ve already made public). 2) So how does the blogger know my name and email? If you login w/ Facebook, we provide the blogger your Facebook name and your primary Facebook email address. This is where you’ll be contacted if you win a prize! To learn what your primary Facebook email address is, log into Facebook, go to your account settings, and you’ll be shown your email address associated with your Facebook account. If you login w/ name and email, we simply provide the blogger the name and email address that you used to sign in. **hint** if the blogger asks as an entry option for your name and email, kindly remind them that there’s no need to do that with the new Rafflecopter widget (an explanation can be found under tip 1 on our previous blog post). 3) What’s the difference between Facebook login and name/email login? The two advantages you’ll get by signing in w/ Facebook vs name/email is that you’ll 1) be able to edit your entry if you’d like and 2) you won’t have to enter in your Facebook name when you enter a ‘FB like’ entry. 4) Do I have to log into every giveaway? Does this mean more work? With the new sign in system, you’ll only have to login once. After that, all Rafflecopter widgets across the web will remember you (unless you delete your cookies of course!). With the old version of Rafflecopter, you would have to type in your name and email address for every entry you submitted on every Rafflecopter widget. Now you only have to type it in once! 5) I want to enter a giveaway with the name/email option. But when I log in, I’m logged out of Facebook. What the heck?! If you’re logged into a Rafflecopter widget via Facebook, when you log out of the widget, it will log you out of Facebook as well. If this is happening and you want to only use your name and email address to log in moving forward, you would have to remove the Rafflecopter app from your Facebook app settings. In order to do this, sign into Facebook and go to your account settings, and then click on ‘Apps’ on the left hand side of the page. Find the Rafflecopter app, click on ‘edit’ and then ‘remove app’. Don’t worry – disconnecting the Rafflecopter app will not lose any entries that you’ve already completed. I’m having the same issue! Getting worried! Our hosting service is having some issues. We’re working closely with them to get things back online. All right! Hoping for the best! Please keep us updated. Please please fix it soon! I’ve been trying to enter a few giveaways being hosted by Rafflecopter and I can’t even log in – tried using email and FB login – nothing happens, I have tried Firefox, Chrome and Explorer – again nothing happens. It’s very frustrating! Got any suggestions? Thx. hey – thanks for the message :) could you send us some details of your issue to info@rafflecopter.com? are you able to sign up w/ facebook, email, or neither? If my email address on FB isnt public can the blogger contact me if I win?? or does the Rafflecopter app on FB have to be allowed to show email address? I am worried I entered a bunch of giveaways and my email is not available. Also my FB has a different email then I use for giveaways and blogging do I need to change my FB email? Hey – if you used Facebook to log into Rafflecopter, you’re giving permission to have Rafflecopter retrieve your name and email address. As per question #2 above, the blogger will email you at your primary email address should you win… hope that helps! hey Carol! if I had to guess, it might be because you’re cookies are being deleted for one reason or another. do you have any anti-virus software that might be deleting cookies on a daily basis? I set up a a giveaway and not sure why it is not up and running I started it two days ago. Would love to win the spa package ended up here no rafflecopter app fuskiegirl21@yahoo.com . Here is my email hope I am still eligible to win. what if several people are using the same computer and they all want to enter a giveaway? how do you sign out so that someone else can sign in? does this new system only allow for one person per household to enter giveaways? I notice that some people use a blog comment or something else other than a FB or email login. How do I get that to work? I have 2 mandatory fields. Does it only work that way when I only use one mandatory field? The contest is already in progress, so I’m not sure if I should change it or not. I Forgot My Email How Will I Find It?? But, I don’t want people to login. It is an extra step. Can I remove this widget? I submit a rafflecopter contest and when I go back the next day my points are not there. Please HELP! I enter in a lot of this on a lot of blogs, but my question is: how do i know if i win one? And how do i know how many i am participating? Hey Eduarda – all giveaway admins are encouraged to send an email to those who have been chosen as winners for their giveaways at the email address the entrant left during the promotion. The admin will contact you through the email address that you entered with. As an entrant, you can email the giveaway admin when the promotion is over or keep an eye on the widget for when they announce the winner’s name on the widget. You can also directly contact the person in charge of the giveaway to ask for a winner’s list. I use incognito mode of Chrome (for various reasons) and every time I enter a giveaway with raffelcopter, the next time I go to view the giveaway, even when logging back in with the same exact information (name and email), my entries are all gone. I don’t understand how logging back in doesn’t bring back up my previous entries. I’m afraid of re-entering the same contest and disqualifying myself. How do I remove the Rafflecopter from Facebook on my Giveaway tab?